Get the refreshing feel with Nilkamal’s new range of potted plants. These artificial plants make us relaxed and rejuvenated. It will be a good decoration for home. They can be placed in living room, bed room and garden. The plants are easy to maintain unlike real plans. With frequent cleaning they will look beautiful for years. They are ideal for decorating weddings, parties and other functions. The rectangular cane basket potted plants will make the surroundings embellished. Lavender colour gives a graceful and charming look. The flower basket is made of cane material. They give strength and make them reliable. The plants are light in weight, easy to clean and eco-friendly. 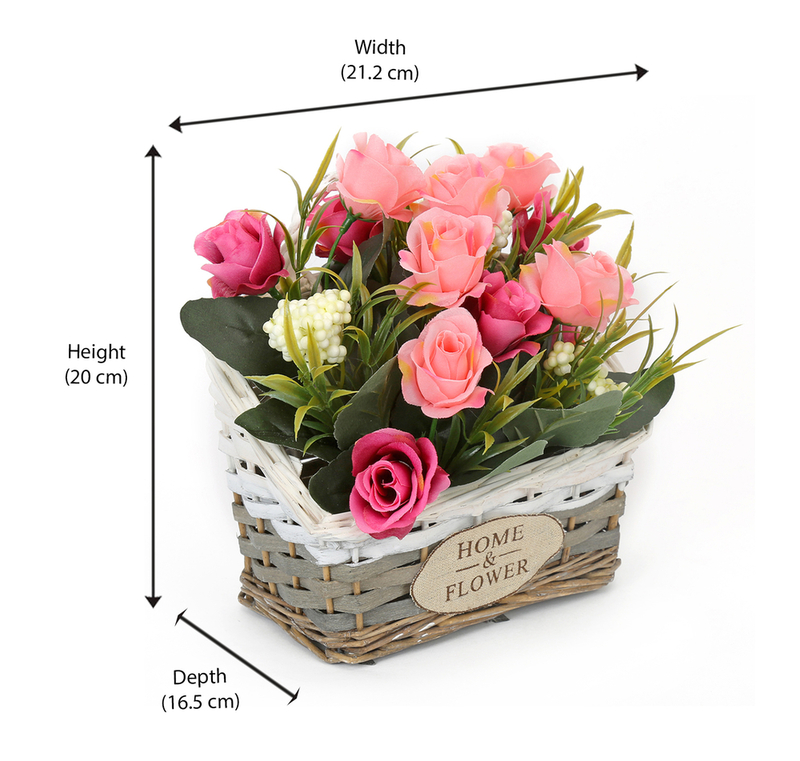 Bring amazing and extraordinary look to the home with this cost effective potted plant. We also have other exciting products. Please scroll down to view them.